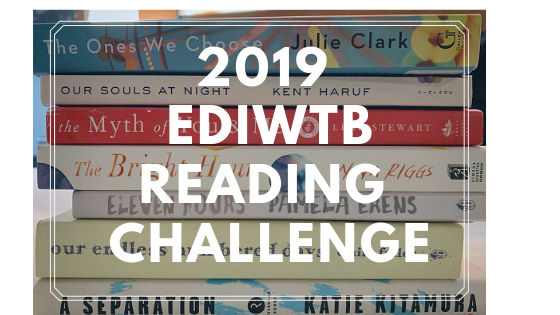 UPDATE: Here is the link to the EDIWTB Reading Challenge Facebook Group and here is the Google doc where we are sharing our progress. On a recent Readerly Report podcast episode, Nicole and I talked about some popular reading challenges, including the 2019 PopSugar Reading Challenge and the 2019 Around The Year In 52 Books Challenge. Nicole was intrigued by them. I checked them out but in the end I am not tempted to join either of them. They include too many books that are outside my interest zone (“A book featuring an amateur detective”, “A book featuring an extinct or imaginary creature”), and I don’t like the idea of choosing books based on words in their titles (“A book with a plant in the title or on the cover”). I don’t read much more than 52 books in a year, and I don’t want to feel pressure to pick those books from a list of narrow categories just to complete a challenge. I asked Stephanie if I could do her challenge with her, and she said yes! I am very excited and am officially adopting it as the 2019 EDIWTB Reading Challenge. 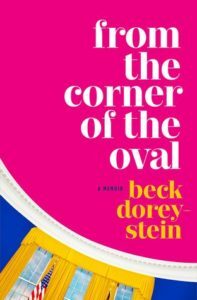 It will get me to read some genres that I don’t usually read – self-help and humor, for example – and will force me out of the contemporary literary fiction category I so often go to. Thank you Stephanie for sharing this challenge! Even if a book fits into two categories, it can only count for one. Books do not have to be read in any particular order and can be spread out or concentrated throughout the year. Would you like to join this challenge? Please leave a comment here, and then we can create a text or Facebook group to share ideas for books to meet the challenge and discuss what we’ve read.